In this podcast I talk with Brant Pitre about the Last Supper. Specifically, we look at the chronology of Holy Week. In particular, Brant discusses an issue he has long labored over: the question of the date of the Last Supper. 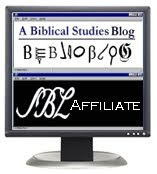 As many know, there appears to be a discrepancy between the Synoptic and Johannine accounts. In the Synoptics, Jesus' Last Supper is a Passover meal. In the Gospel of John, however, there are indications that Passover has not yet been celebrated. This is a topic Brant will tackle in much greater detail in a massive academic monograph he is just finishing up for Eerdmans. 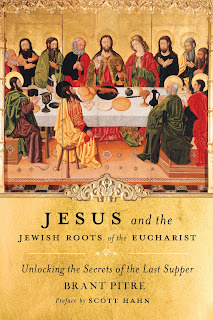 The book is a look at the historical Jesus and the Last Supper. This is a book he has been working for several years--as you can probably tell from this podcast. 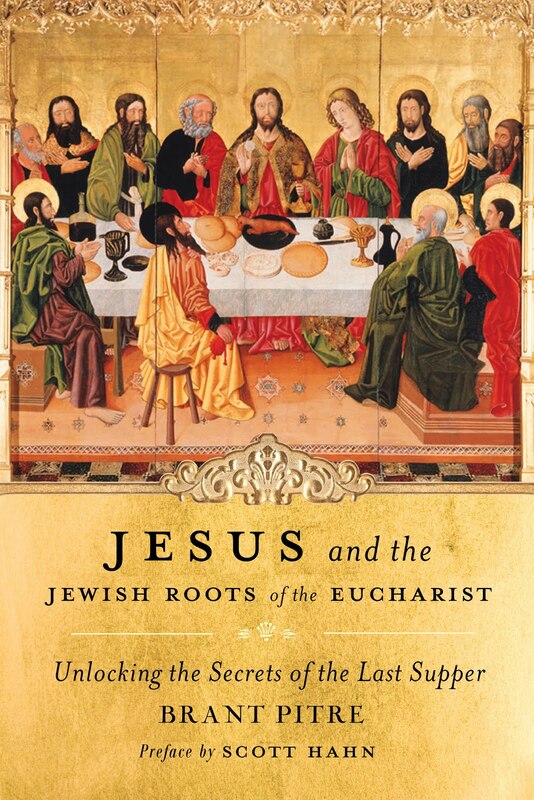 Also, be sure to check out Brant's recent book, a runaway best-seller, Jesus and the Jewish Roots of the Eucharist: Unlocking the Secrets of the Last Supper (Doubleday, 2011). I've written a detailed review of this book over at the amazon link provided. In addition, check out Brant's audio presentations on Jesus and the Eucharist here. Finally, be sure to check out previous podcasts of our show for more on the Eucharist. As always, I'd like to express my gratitude to Saint Joseph's Communications, who generously support this podcast. They are also offering our listeners a free copy of the first CD from Scott Hahn's audio set on Jesus' Seven Sayings from the Cross. Also, again, during this Lent as you're making your almsgiving plans, please consider calling them up and giving them a donation, 1-800-526-2151. (And don't forget to thank them for supporting the show!) I'm not sure how to get these sets via mp3 download. Just give them a call and they can help you out. (800-526-2151). I learned about a fourth meaning of the Passover, thanks. As always a fascinating discussion about the Scriptures. I cannot wait read the details Brent's future book. I can witness that a deeper understanding of the Jewish roots of our faith, not only allows many Jews to open themselves to Jesus but also allows us to live more deeply our life as Christians. Thanks again for your work and insight! Good stuff. I used to argue for the very few you are putting forward (which is in Alfred Edersheim's appendix to his book on the Temple). I have come to disbelieve in this view, however. If a small pushback might be welcomed here, I think a few mishandlings of rabbinic texts have occurred in this presentation. For example, the idea of going out on Pesah evening to give to the poor is an inference from the Haggadah, but there is no basis to either assume this existed in the 2nd Temple Period or that people would leave a Seder to go out and give to the poor.